You are currently viewing Archived reports for the week of 11 June-17 June 2003. As of 17 June, continuous ash-and-gas emissions persisted at Anatahan. 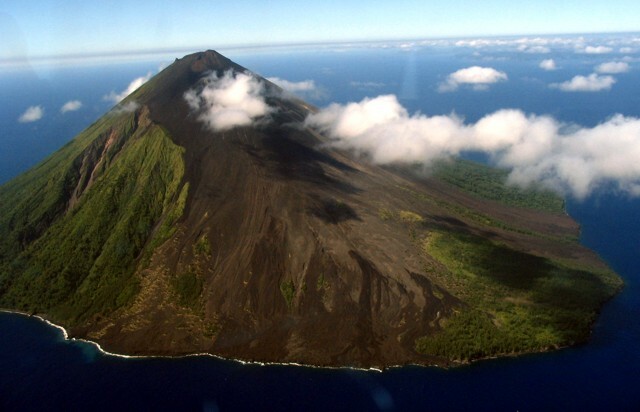 US Geological Survey and CNMI Emergency Management Office personnel observed the volcano on 12 June. They noted that a lava dome or flow was visible on the crater floor and ash was emitted from several areas. No sound emanated from the crater, spines were visible on the crater floor, and one source for the convecting ash cloud was located on the E side of the east crater. In addition, the east crater seemed deeper than during the previous visit on 6 June. 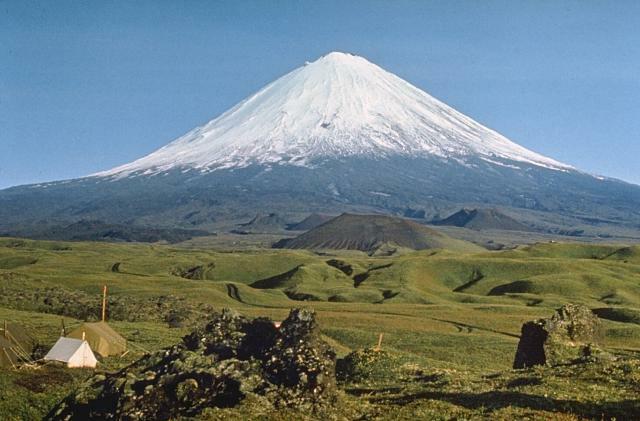 During 5-12 June, the seismic record only contained banded-volcanic tremor, but on the evening of 12 June long-period (M ~2) earthquakes began to be recorded. An explosion earthquake occurred on 14 June at 0010. 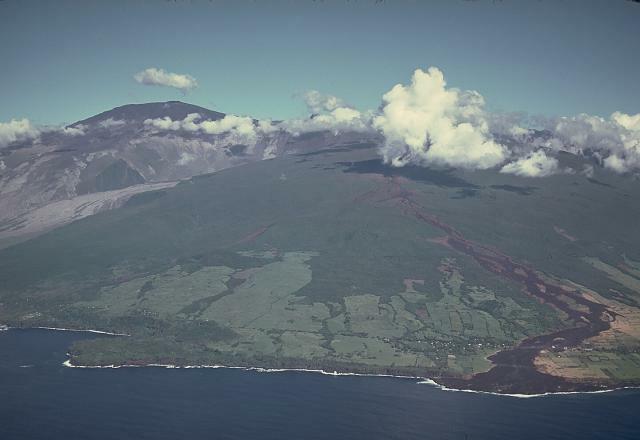 Scientists believe the earthquake was associated with an explosion that removed much of the small lava dome, because the dome was no longer seen during an overflight on the 14th. After the explosion, a series of long-period earthquakes occurred at regular 1- to 2-minute intervals until ~1400. During the report period, ash was visible on satellite imagery rising to a maximum height of ~3 km a.s.l. 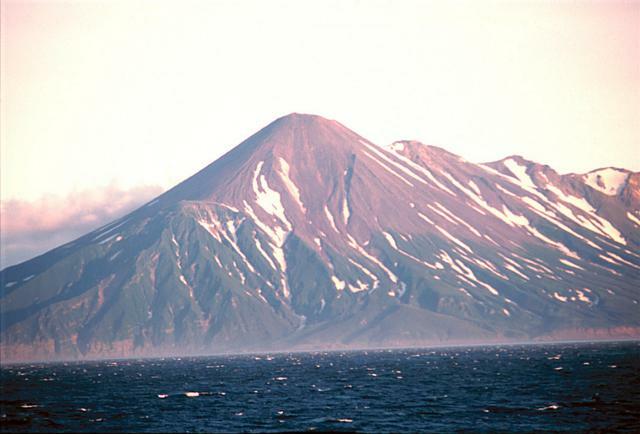 The eruption at Chikurachki that began on 18 April continued through 13 June, with ash plumes rising to heights less than 500 m above the volcano. During the report week, ash fell on the Podgorny settlement, ~20 km SSE of the volcano, and narrow plumes were visible on satellite imagery. Chikurachki remained at Concern Color Code Orange. Ash continued to be emitted from Dukono during 11-17 June, with plumes rising to a maximum height of ~4.5 km a.s.l. The Toulouse VAAC reported that the Etna web video camera showed an ash plume below ~4 km a.s.l. drifting SE on 7 June. 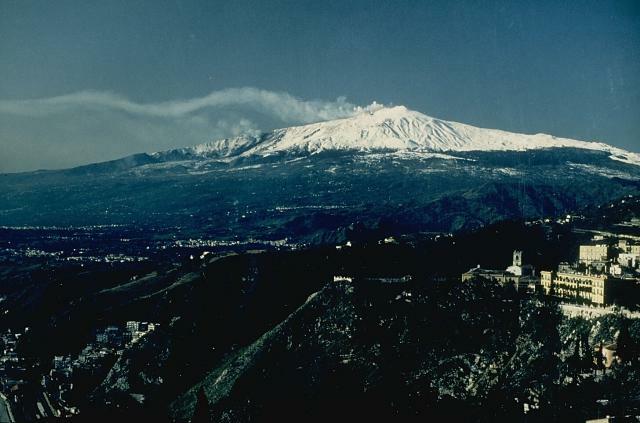 According to the Italy's Volcanoes website, in early June intense gas emissions took place from Northeast Crater, often feeding a plume that extended tens of kilometers. At Bocca Nuova crater strong gas emissions and occasional strong explosions occurred, but no fresh volcanic material was ejected beyond the pit. Gas was emitted from two pits in Voragine crater. There was a progressive increase in the number and activity of fumaroles near Southeast Crater's summit and the S flank. At Kilauea lava continued to enter the sea mainly at the Highcastle ocean entry during 11-17 June and surface lava flows were visible on the coastal flat and Pulama pali. 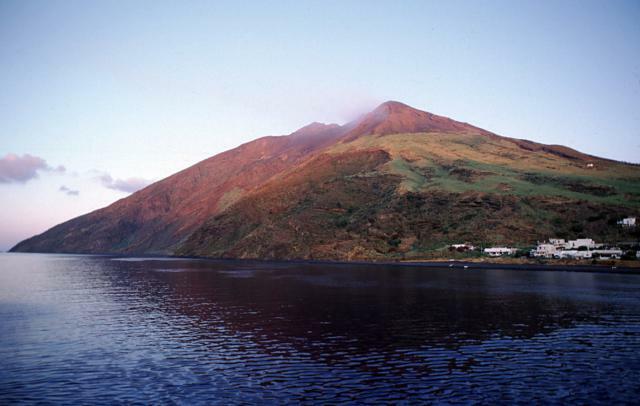 Seismicity at the summit was at moderate-to-high levels, with many small, low-frequency earthquakes occurring at shallow depths beneath the summit caldera for the past two weeks. Little or no volcanic tremor accompanied the swarm, however. 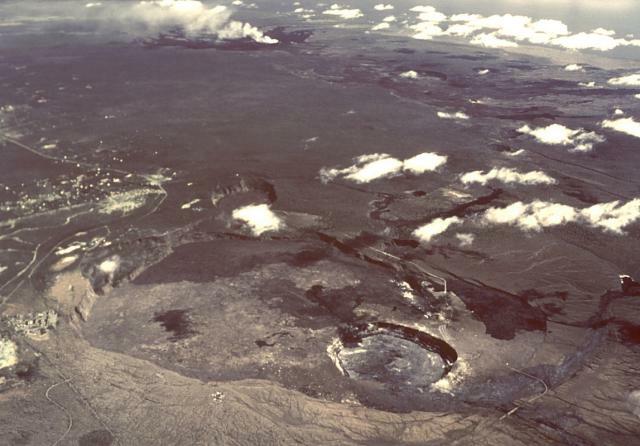 Volcanic tremor at Pu`u `O`o remained at moderate-to-high levels, as is the norm. A quasi-cyclic tilt pattern ended at Kilauea's summit and Pu`u `O`o on the 13th after lasting about a week. Seismicity was above background levels at Kliuchevskoi during 6-13 June. After some diminishing, the level of continuous spasmodic volcanic tremor returned to the same level as the previous week. Earthquakes continued to be registered at depths around 30 km and at shallower levels. 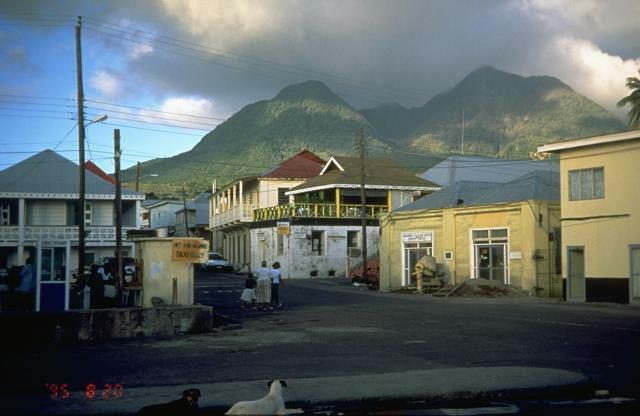 The character of seismicity indicated that weak gas-and-ash explosions possibly occurred. A thermal anomaly and an ash-poor plume were visible on satellite imagery. Kliuchevskoi remained at Concern Color Code Orange. The second phase of an eruption that began on 30 May in the Dolomieu crater of Piton de la Fournaise ended on 6 June. Numerous seismic events were recorded during the following days until the morning of 12 June. On 13 June at 0308 eruption tremor again began within Dolomieu crater, marking the beginning of the third phase of the eruption. Eruptive activity resumed in the same area as the previous two phases. By 15 June no tremor was recorded, possibly marking the end of the third phase. 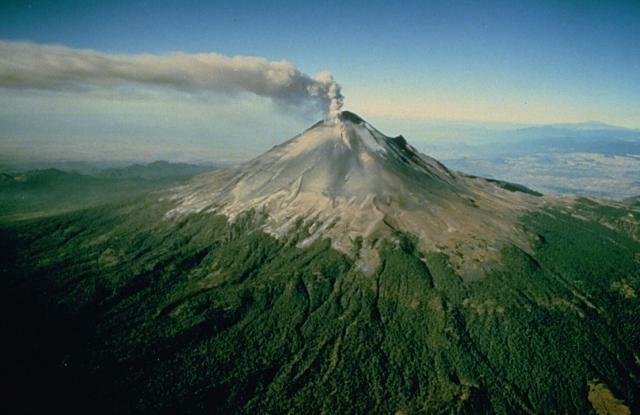 CENAPRED reported that a small eruption at Popocatépetl on 10 June at 1744 produced a W-drifting ash column to a height of ~3 km above the volcano. In addition, episodes of low-amplitude harmonic tremor were recorded for a total of 2 hours. According to the Washington VAAC, the volcano returned to just gas venting after the eruption. Based on information from the México City MWO, the Washington VAAC also reported that a small emission occurred on 15 June at 1401. 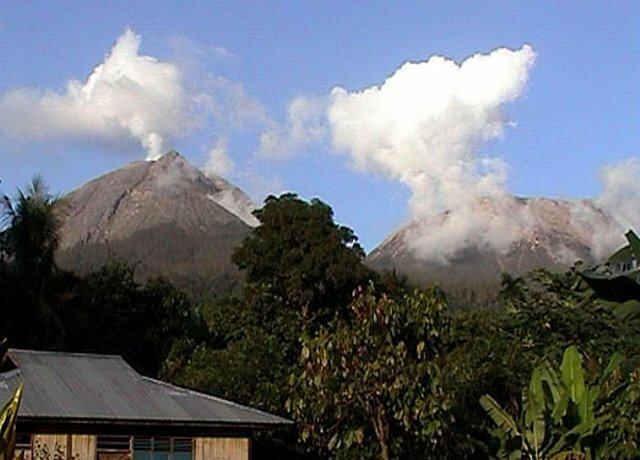 Aviators reported that the cloud from this eruption rose to ~2 km above the volcano and drifted N.
Volcanic activity at Soufrière Hills decreased to low levels during 6-13 June, with sporadic rockfalls and pyroclastic flows traveling down the volcano's E and NE flanks to the Tar River Valley, and White's and Tuitt's ghauts. 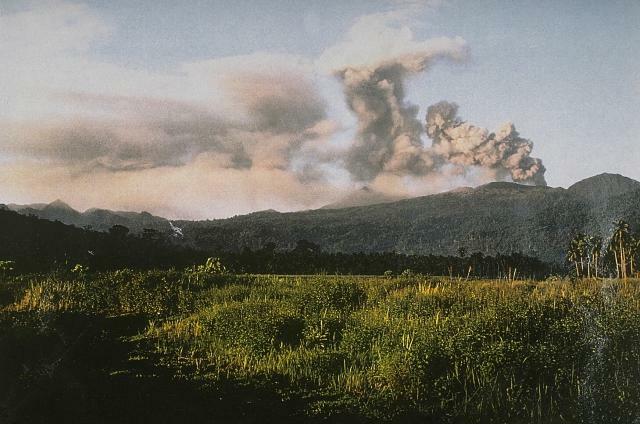 Several energetic pyroclastic flows occurred in the Tar River Valley in the early hours of 11 June and again on the morning of 13 June. 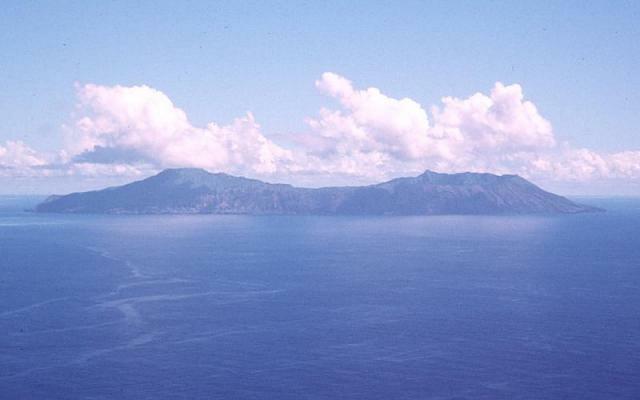 INGV-CT reported that the effusive eruption that began at Stromboli on 15 February on the upper eastern corner of the Sciara del Fuoco (a horseshoe-shaped scarp) continued until at least 16 June, with a general decrease in lava-effusion rate. During 1-6 June, there was Strombolian activity at Crater 1 (the NE crater). Most ejecta fell within the crater and pulsating dark ash was emitted. On 11 June lava flows were occasionally emitted from hornitos at 600-m elevation. Discontinuous ash emission occurred from the summit crater until mid-June. On 15 June a SAR fixed camera recorded a Strombolian explosion, with abundant ash emissions. 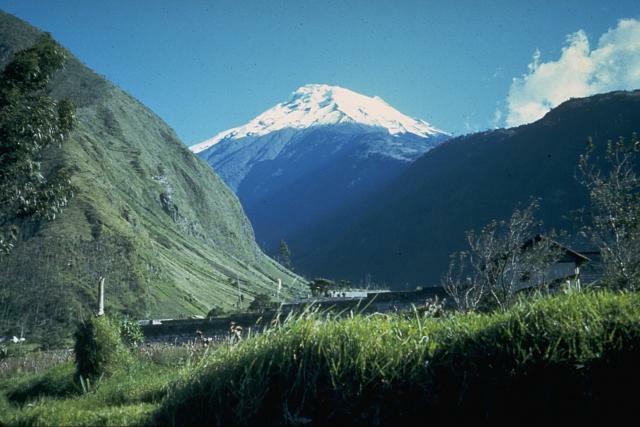 Relatively high volcanic activity continued at Tungurahua during 10-17 June. Several explosions took place, with the highest rising ash plume reaching ~5 km above Tungurahua. Some explosions were heard in towns near the volcano and on 10 June vibrations from an explosion were felt in the town of Baños. Significant amounts of ash fell in several villages, including Quero and Pelileo. Strombolian activity during the evening of 15 June consisted of incandescent blocks that were hurled to ~150 m above the crater and rolled ~1 km down Tungurahua's N flank. Ash fell in the sector of Cusúa. During the report week, ash clouds were visible on satellite imagery.